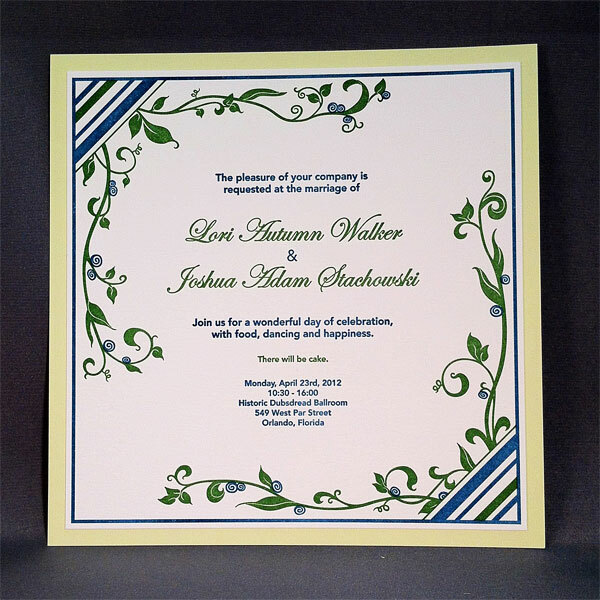 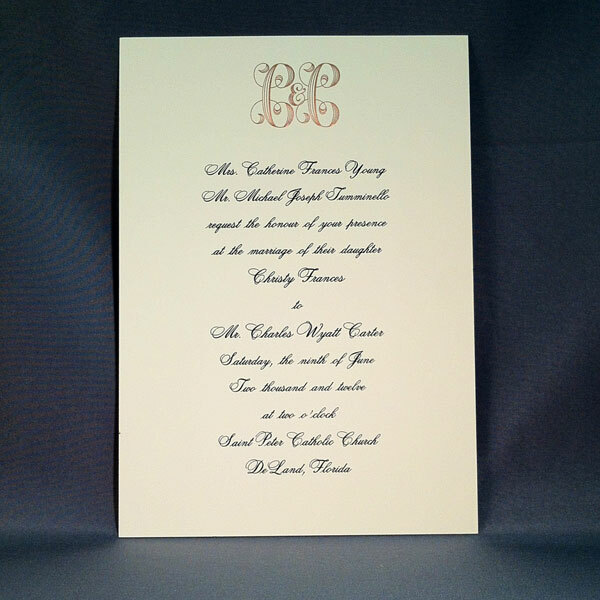 Your wedding invitation sets the tone for your big day – it gives your invited guests a vision of what your day will be like; ultra formal or more casual. 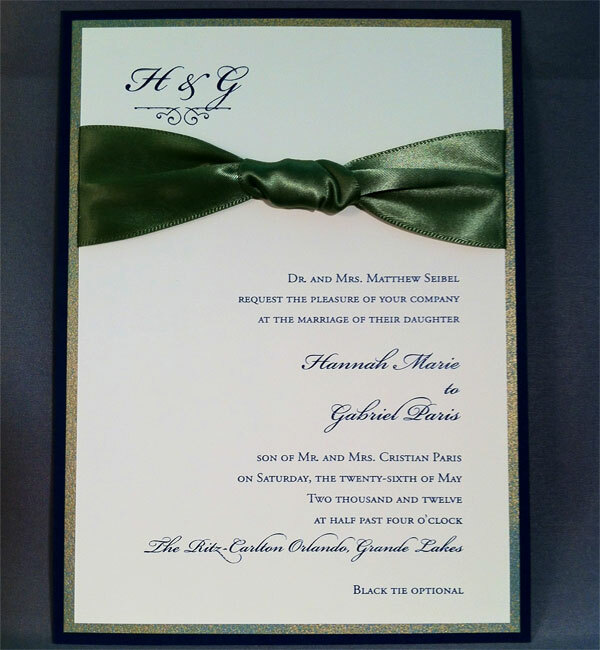 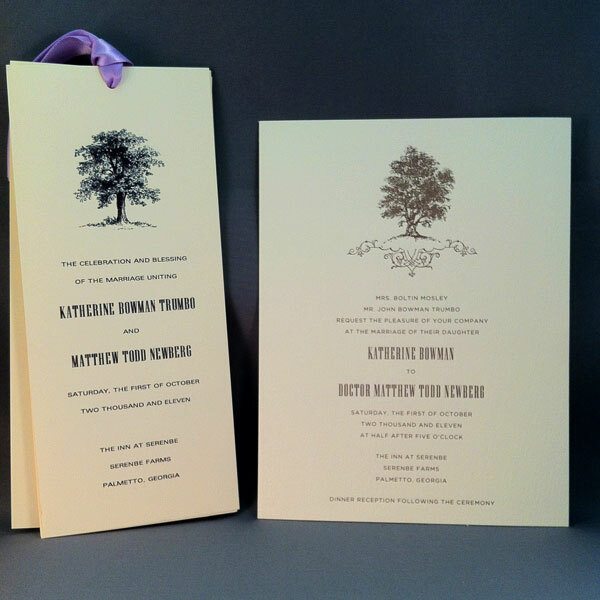 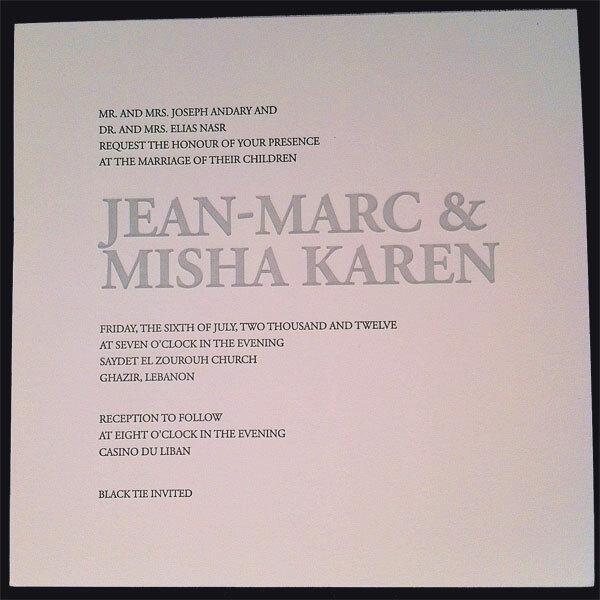 Some of the most beautiful and also the most unusual wedding invitations pass through our hands each week. 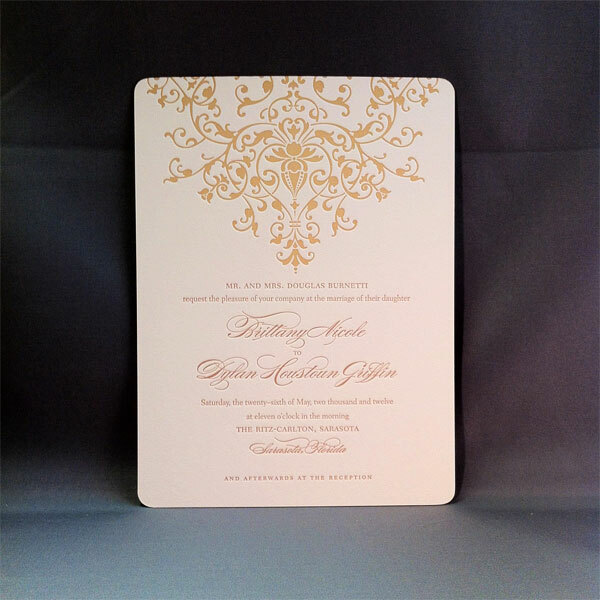 We wish we could share them all with you here … Suffice it to say, we will work with you to find or create and produce an invitation to reflect your style; delivered on time and at or under budget. 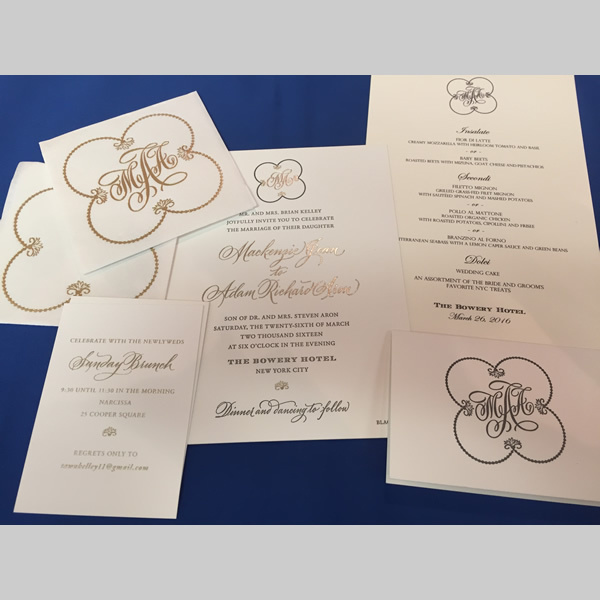 Shown here are just a few random samples… we have hundreds more in the shop… we invite you to come in and let us help you find your perfect invitation. 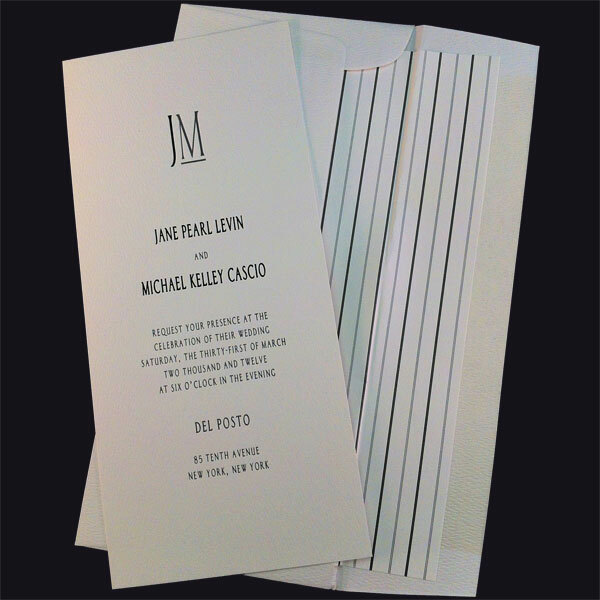 We welcome appointments, but are open during regular hours. 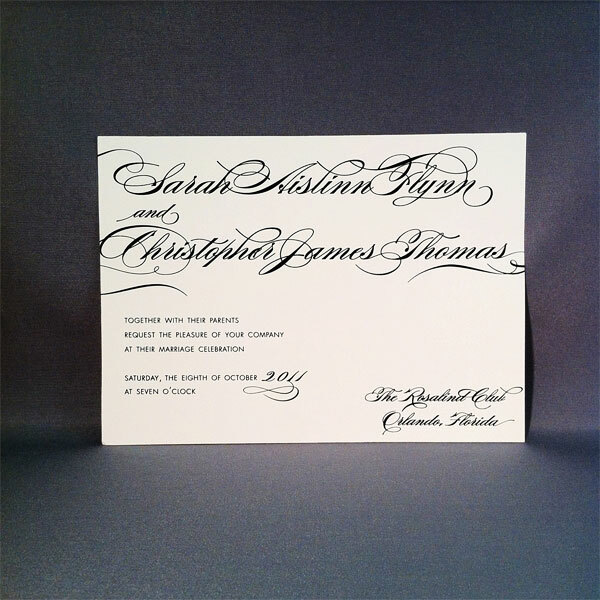 If you can’t make it in we are happy to consult by phone and scan samples for you to see.